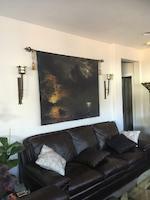 Love this KK, interestingly and beautiful! l.f.p. Nice find and capture, KK! Well seen and photographed! Congrats on your features! Great description and colourful image telling an interesting story! 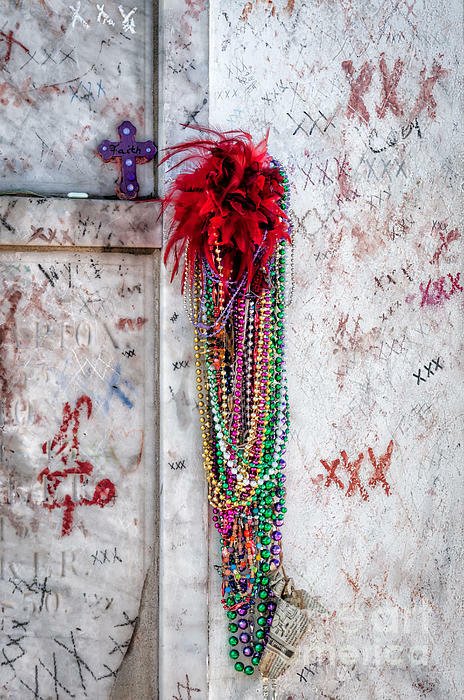 On the famous tomb of Marie Laveau in St. Louis I Cemetery in New Orleans are XXXs and other markings. 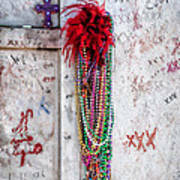 Hanging on the tomb are beads and something that resembles a red feather. Marie Laveau was the voodoo queen of New Orleans. 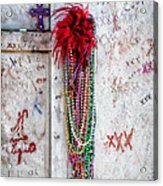 You may be wondering about the newspaper on the beads. 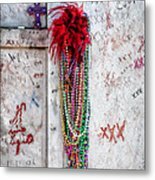 When people here in NOLA get a lot of mardi gras beads and want to use them again in a parade or to perhaps give away nicely, they count out a dozen and wrap them together in a strip of newspaper.